Mike joined Outside GC in 2018. Most recently he served as General Counsel of Urban One (formerly Radio One), a publicly held diversified media company that operates 50+ broadcast stations across the U.S., owns a cable TV network, and is active in digital media and program syndication. While at Urban One, Mike managed a team of attorneys and paralegal staff that met the varied and wide-ranging legal and strategic needs of the company. Mike has extensive experience in contracts, commercial transactions, licensing, federal and state regulatory compliance, acquisitions and divestitures, and policy development. He has negotiated numerous multimillion-dollar technology, licensing, programming, and service agreements. Mike served as lead in-house counsel providing legal guidance and strategic insight to support Urban One’s $40M investment in the MGM National Harbor casino and the related company licensing by the Maryland Lottery and Gaming Control Agency. He also led commercial lease negotiations for the relocation/renewal of office and broadcast studio facilities in the company’s 15+ urban markets, as well as for the relocation of company headquarters. Prior to Urban One, Mike served as General Counsel at Matrics Technology Systems, a start-up developer of proprietary radio frequency identification reader and integrated circuit technology, where he partnered with company executives and engineering staff to negotiate technology agreements, vendor partnerships and product trials. Prior to that, he was Vice President and General Counsel at CAIS Internet, where, as a member of the senior management team, he helped transition the company from a privately held long distance telephone operator to a publicly traded national tier one internet service and provider of proprietary broadband services. Early in his career, Mike served as in-house General Counsel for a privately held television broadcasting company. He began his legal career as an associate at Patton, Boggs & Blow in Washington, D.C., where he practiced general corporate law and litigation. Mike graduated from Yale University with a degree in economics, and earned his law degree from Yale Law School. 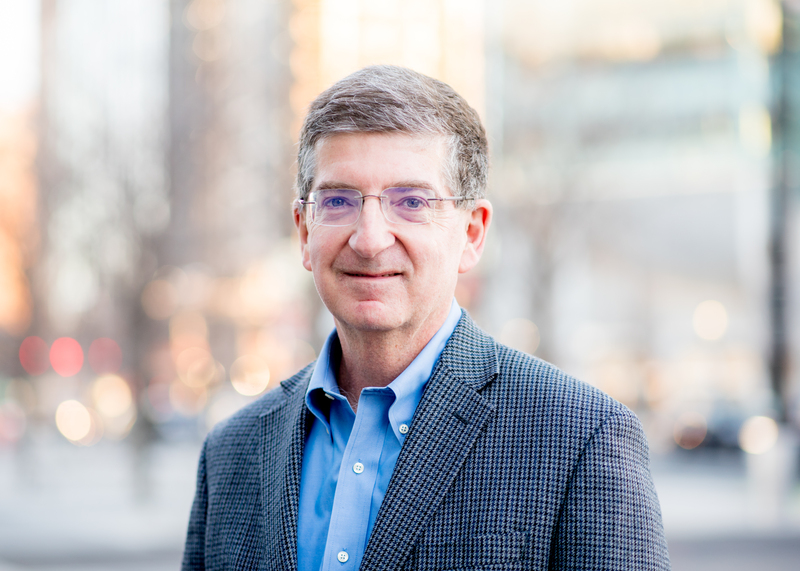 Mike has served as Chair of the Town Council of the Town of Chevy Chase View, Maryland, coached youth baseball for many years, and volunteered in numerous capacities in his community as well as at his kids’ elementary and high schools. Mike grew up in Stamford, CT and Morristown, NJ, and has been a resident of Kensington/Chevy Chase View, Maryland for nearly 30 years. His wife, Mary, is an attorney with PBS, and they are the proud parents of four adult sons. In his free time, Mike enjoys reading a variety of fiction and non-fiction, is an avid sports fan, and loves music, travel, the beach and, most of all, spending time with his family and friends.